Elderly Vedzhiye Kashka was held in a bribe case. 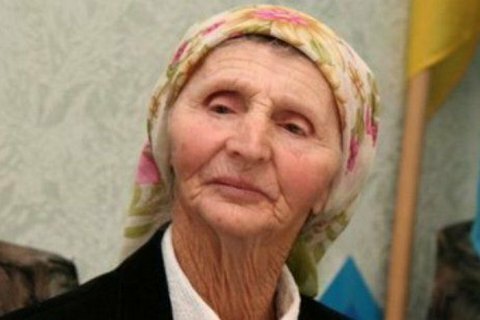 A veteran of the Crimean Tatar national movement, Vedzhiye Kashka, died after local law enforcers attempted to arrest her in Crimea, the Russian news agency RIA Novosti reported on Thursday. Crimea.Realii wrote that the elderly woman felt unwell during the detention of a group of Crimean Tatar activists in central Simferopol and an ambulance rushed her to hospital. "She was taken to hospital, that's all we know," lawyer Eden Smedlyayev said. Later, the publication confirmed the woman's death. Vedzhiye Kashka was 83 years old. RIA Novosti wrote about the death of a 82-year-old woman. Three Crimea Tatar activists were detained at a Simferopol cafe on the afternoon of 23 November. Crimean media reported that the detainees are suspected of "extorting a sizeable sum" from a Turkish citizen.